Home > Attachment > Who Do You Trust the Most? We all need the magic of a warm hug to tell us that we are safe, secure, loved beyond measure and without condition. This is where trust starts. It is where we meet ourselves, where we come to know infinite beauty and universal truth. It is in this first embrace that we find the seeds of trust. Imagine that you are being held by someone you love (partner, parent, best friend, someone you once knew, or someone you imagine). You feel safe and warm and connected. A presence soothes you in the beating of a primitive language. As you find the rhythms of oneness, you know that all is right. You are protected from all unknowns. Now imagine that this connection fails. You suddenly become small and vulnerable. The protector is no longer responsive to your needs. What once soothed you has turned harsh. You find yourself defenseless, wholly dependent on another for nourishment, warmth, comfort, and security, but those basic needs are not reliably met. Your internal alarm systems fire as your body responds to an inborn fear. Danger now holds you in its clutches. The will to survive drives your behavior. You cry out for what you need. Eventually, you cry because the sound soothes you. Or maybe you stop crying altogether. Your sense organs–eyes, ears, nose, tongue, skin, and others–become your carers. They zero in on danger. You begin to see the world through a defensive lens. Later, you are in the arms of a new protector. Her warmth awakens far-away sensations of safety, connection, reciprocity, and play. It feels good…but then it doesn’t. Your body reminds you that this can’t be trusted. Your environment has changed. The people around you have changed. You are safe, but your body cannot feel it. Your senses remain on high alert. You wish you could tell your new protector that you need her to stay with you. She needs to help you learn to be safe, just as you once learned to fear. You need her to know that your relationship with her is what will help you, in time, to heal. One day, as you sit at a desk in your classroom, your body won’t stop moving. Your teacher asks you to stop fidgeting. He tells you that you are disturbing others. You can’t help it–you need to move. He asks you to pay attention. His voice is not loud, but suddenly you feel uncomfortable. The low frequency you hear in his voice signals danger. Your body is always on alert. You miss the lesson, you can’t move on to the next activity, you fall increasingly behind. The school calls you impulsive, inattentive, unmotivated, hyperactive. Maybe you are diagnosed with ADHD or referred for services. In well-informed hands, some of this will be helpful, but by the time you are 8 or 9 you will be assigned a list of labels that can as easily limit you as help you. You wish that you could tell them that the way your body behaves is how it learned to behave. If only they could know that you need their support, understanding, and encouragement. A successful relationship with them will help your brain to reorganize. Later, groups of kids play on the playground. You want to join in, to have friends. But the other kids seem to have a secret, unspoken language. You cannot read their facial expressions, their gestures seem threatening, and you don’t get all the jokes. Too often, you need to be in charge. The other kids call you mean, bossy, manipulative, weird. Your self-image begins to suffer. You process things differently. Sometimes an accidental touch seems more like an attack. You respond according to how your brain interprets information. When the environment feels uncertain, taking control is how you feel safe. You want the kids to like you, accept you. Trusted friendships will help you grow. During a session with your therapist, she hands you a paper with three concentric circles drawn on it. They represent relative levels of trust in relationships. The central circle is who you trust the most. She asks you who you would put in that spot. You don’t answer. She pushes. You remain silent. Finally, she suggests your parents. So you nod. You know that she needs you to nod. The therapist tells you that you must identify and express your feelings in order to overcome them. When you avoid eye contact or stand up and move around the room, she redirects you. She tells your parents that you are not working hard enough, that you are not invested in your own therapy. Why doesn’t she understand that you cannot fully trust because you do not feel safe? Even though she has taught you feeling-words, you cannot connect words and feelings. You know that others see your behavior as wrong or bad and you feel sorry that sometimes you cannot control it. Sometimes you feel that you are a bad person. When she pushes you to do things that you cannot do, you feel worse. You wish you could help them all to understand that you are doing the best you can – even when it doesn’t look like you are doing very well. You wish you could ask them to be with you and help. 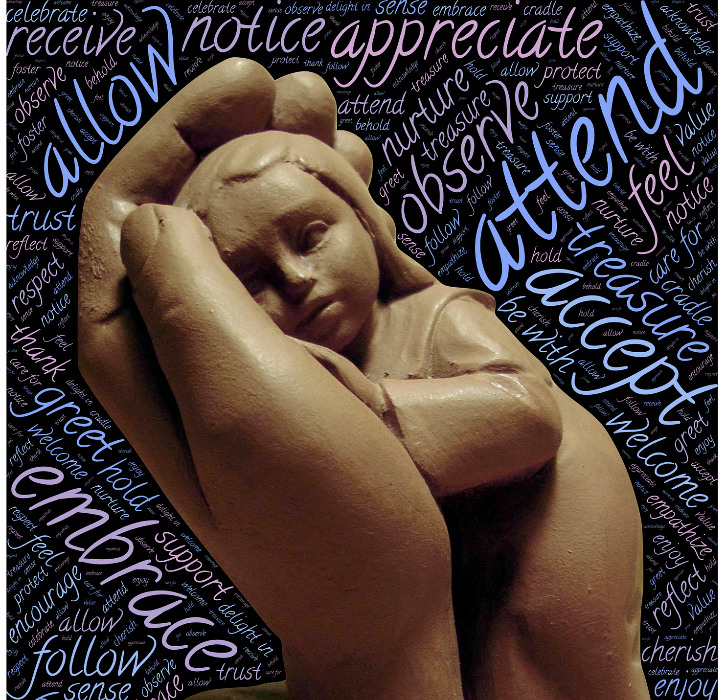 Their unconditional presence will help you regain the seeds of trust, to learn to feel safe. You want to know the exquisiteness of connection, but you need their help. Carol Monaco is a parent of five children adopted through foster care, parenting consultant, writer, and accidental (but really passionate) advocate. she has a daughter in college, a son living in a residential treatment center, and a household that moves in the flow of the trauma current. 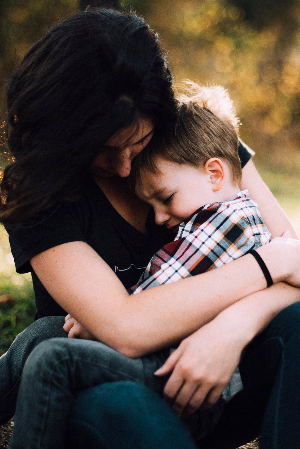 Having experienced the depths of despair over behavior that she did not understand and could never seem to control, her work is focused on parenting with mindful self-compassion. She especially enjoy facilitating groups, witnessing the transformation that happens when we move away from blaming and shaming ourselves and into the space of acceptance and appreciation even as we stumble. She am a life-long learner with Master’s Degrees in business administration and psychology. Carol has training in interpersonal neurobiology, adoptive and foster family therapy, neuroplasticity and contemplative practice, children’s yoga, Mindfulness Based Stress Reduction, Reiki, Hand-in-Hand Parenting for professionals, Emotional Freedom Technique, and crisis intervention. She uses it all, every single day.